Hello Frndzzz.... www.dealsnloot.com Again Back With New Paytm Cash Loot Trick. 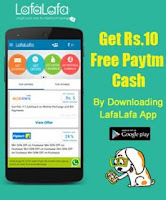 Download LafaLafa Extra Cashback & Coupons Shopping App & Get Rs.10 Paytm Money . Login to your Paytm account. Now you will get an email from Paytm. Register your account at Lafalafe by using Facebook or Gmail account. 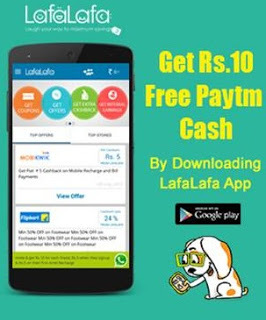 That’s it, You will get Rs.10 cash in your Paytm account within 24 hours.